time-honored customs; religious beliefs; political systems; specific works of art; and good ole 'know-how'. has meaning. Being obligated to hang on to our heritage is to profit by it. your word is your bond, and your hand shake tells folks that you mean what you say. woven together by fortitude, moral fiber, determination, love and a common way of thinking. because of the colorful concoction of personalities and talents. We have resolved together to abide by the ‘code’ of Christ. We do that by sharing Christ and to quote the Preacher, "sometimes we get to use words." * By Statement of faith – this means you have accepted Jesus Christ, been baptized by immersion, but you have no way of getting a letter from your former church. * By Letter – This means you have accepted Jesus Christ, been baptized and are a member of another church. 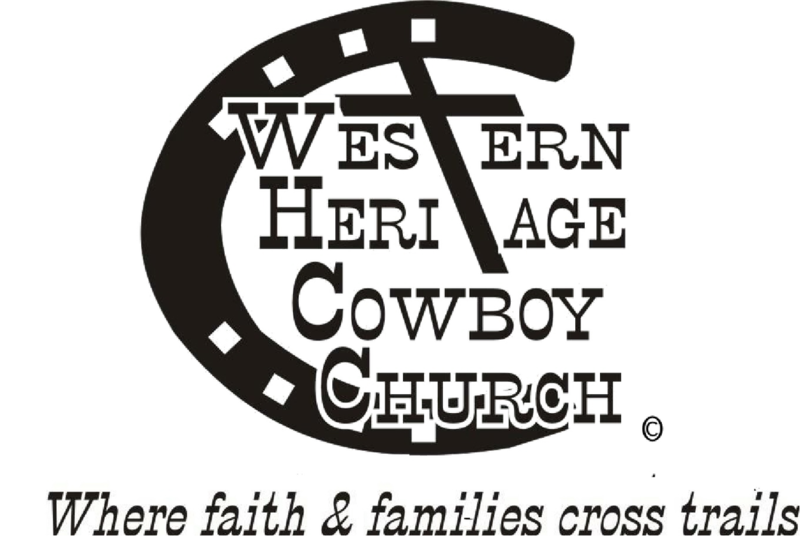 WHCC will write your previous church and request that they send your church membership to Western Heritage Cowboy Church. * By Baptism – You have accepted Jesus Christ as you Savior and desire to be baptized. Deciding to accept Christ is a personal, significant decision that only you can make, no one else can make that decision for you.